In 2011 Bwin & Party Gaming merged to form bwin.party which created the largest online gaming company in the world. Bwin owned and operated the OnGame Poker Network and with that its site Bwin Poker was almost 50% of the traffic on the OnGame Network. Party Poker operated the Party Poker Network and was one of the top 5 poker sites with regards to cash players in the world. The strategic plan after the merger was for bwin.party to sell off assets that overlapped each other. The biggest overlap of assets was the fact that Party Poker operated the Party Poker Network & Bwin operated the OnGame Network. So with that we saw the sale of the OnGame Network to Amaya. The last piece after selling off OnGame was to merge Bwin onto the Party Party Network and that was completed earlier this week. According to an alert on PokerScout, Party Poker Network is now the 2nd largest poker network in the entire world with a 24hr peak of 6,443 cash players. The 6,443 cash players surpasses Full Tilt Poker which at the time was the 2nd largest poker site with a 24hr peak of 5,931 cash players. OnGame Network which is now controlled by Amaya has seen a sizable decrease in cash players thanks to Bwin migrating all players to Party Poker Network. All Bwin players when they load up the software will be prompted to install an update which will load the new Party Poker Network software. 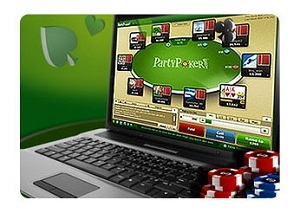 The software package is almost identical to Party Poker but the color scheme is a sleek black. Full Tilt Poker has continued to see huge amount of cash players leaving for greener pastures since the re-launch on November 6th. Full Tilt Poker has seen a decrease of almost 56% with regards to cash players from the high seen on the days after the relaunch. One key aspect of why players are leaving Full Tilt Poker is that under the previous ownership Full Tilt Poker offering 27% flat rakeback. Full Tilt Poker was an attractive site to grinders as they could count on receiving the 27% rakeback every week directly into there poker accounts. When the Rational Group acquired the Full Tilt Poker assets they cancelled all rakeback deals and also cut off all affiliates. 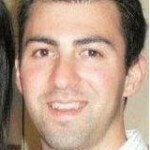 They instead created a tiered VIP program which maxed out at 25% rakeback, however most regular players would be receiving far less than 25% since its a tiered system. Players will most likely continue to see Full Tilt Poker suffer departures as networks such as Party Poker could continue to see players migrate over to them as players are looking for better promotions and deals.